If you see an alert error 45054 in iTunes and have on idea, read this article to get the detailed solutions of how to fix iTunes error 45054. This all-in-one iOS data transfer tool can help you easily transfer almost all kinds of iPhone data to computer directly. Download it to have a try after reading this article about how to fix iTunes error 45054. Almost all Apple users have installed iTunes on Windows or Mac, and make use of it with all your iOS devices. Undoubtedly, it is really handy and excellent software provided by Apple Company. While, iTunes is not perfect, there occasionally arise a lot of issues like iTunes error 2005, iTunes error 21, and iTunes error 4013 etc. Here in this post, we focus on how to fix iTunes error 45054 on Windows and Mac without third-party software. No matter for what reasons, you can have a try on the following methods to see if one of them works for you. Step 1. Quit iTunes (if it’s open). Step 2. Go > Go to Folder. Input “/Users/Shared/adi” and press Go. Step 3. 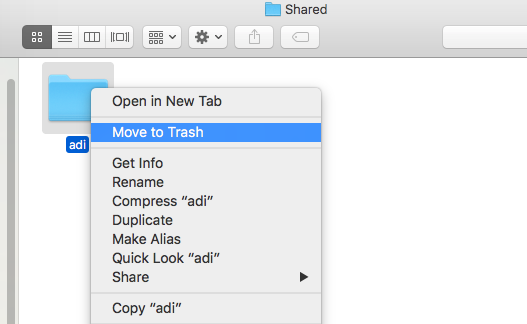 If you see Shared folder exists, and you find the adi folder, drag the adi folder to the Trash and open iTunes to make a purchase. Tip: If you don't see a Shared folder, you can try these steps: Run Terminal > Input sudo mkdir -p / Users/Shared/ and press Return > Input you Mac password and press Return > Type sudo chmod 1777 / Users/Shared in the Terminal window and press Return > Quit Terminal. Warning: After opening Terminal, the next step requires you to enter commands in Terminal to modify permission settings. If you're unfamiliar with Terminal and UNIX-like environments, be cautious. If you enter incorrect commands, you might lose data, or your system software might become unusable. If you are a Windows user, here are the steps of how to fix iTunes error 45054 on Windows. Step 1. Also quit iTunes. Step 2. Press the Windows key or Control (Ctrl) and Escape (Esc) keys on your keyboard. Step 3. In the search box, type “ProgramData”, then press the Enter key. Windows 10: View > Hidden items. Windows 8: View > Options > Show hidden files, folders, and drives. Windows 7: Organize > Folder and search options > Show hidden files, folders, and drives. Step 5. Open the Apple Computer folder, then the iTunes folder. Step 6. Delete the SC Info folder and the adi folder. Step 7. Restart your computer, then run iTunes again and try to make a purchase. When comes to syncing data from computer to iPhone, there is no doubt that the first method come to our mind is using iTunes. However, using iTunes sometimes may leads to some bad occasions like erasing data on your iPhone or meet some annoying errors. So, in this part, we recommend you a powerful iTunes alternative - AnyTrans, which can help you manage and sync iOS data in an more convenient & safe way. 1. AnyTrans is compatible with all models of iPhone, iPad and iPod. 2. It supports managing and transferring all kinds of iOS data including songs, notes, calendars, contacts, apps, ringtones, pictures, reminders, messages, etc. 3. It supports transferring data in multi directions, including among multiple iDevices and multiple iCloud accounts, between iTunes and device, between device and computer, from device to iCloud, between iCloud and computer. That’s all for how to fix iTunes error 45054, after trying methods mentioned above, if your question still remained, you can go to Apple Store and ask for Apple Specialist for help. 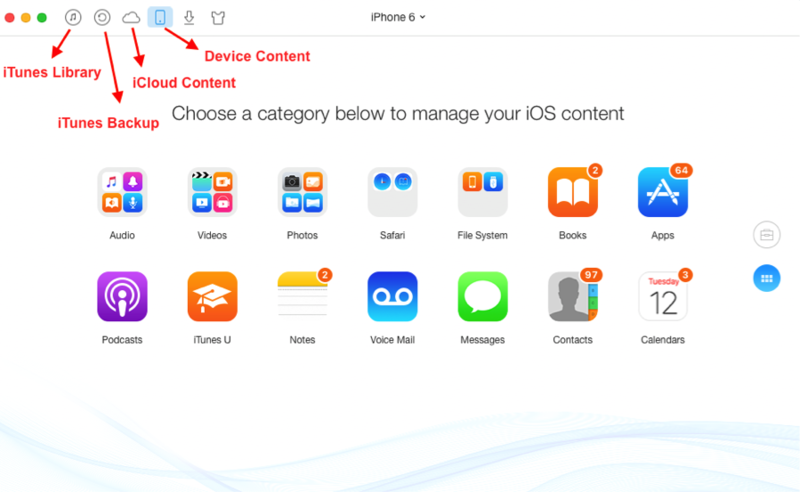 By the way, if you want to sync data from computer to iPhone without using iTunes, you can have a try on AnyTrans.